Summer seems to screech to an end with the first day of school, or Labor Day, whichever comes first. I won’t confess how many years it’s been since I last claimed my desk in a grammar or middle school classroom. As this school year gets back in swing, I wonder if the classic, back-to-school, writing assignment still exists: How I Spent My Summer Vacation. My summer of 2015 has been action packed, and given that assignment today, I’d be hard pressed to focus on a topic. 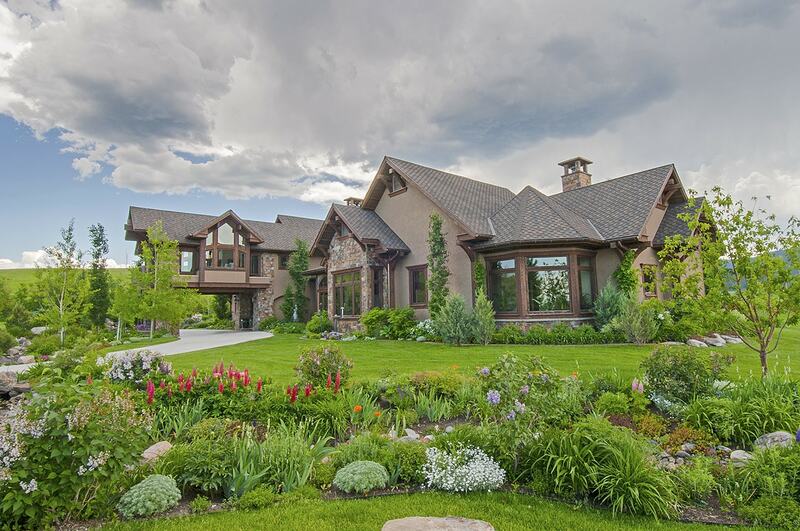 Schlauch Uhlmann Platinum Properties has enjoyed a cavalcade of interesting clients arriving in Bozeman this Summer to view and purchase properties. Bozeman is attracting people from all over the country, united with a love for the outdoors, healthy living, opportunities, and our community. We’ve heard tales of lives well-lived, made new friends, shared picnic lunches, and spent enjoyable days driving our valley and showing fine properties. I visited Beijing and Shanghai, along with my dear friend Chef Stephan Pyles. As guests of the Chinese government, exploring the opportunity to create the first American steak house in China in collaboration with Beijing ER Shang, our 3 people delegation was wined, dined, and escorted through a variety of major food-related companies and historic sites. We toured a pig slaughtering facility, the largest soybean milk and tofu factory in China, a distribution center handling imported wines and liquor into China, and collective farms growing the organic produce consumed by the heads of the government. Stephan and I hiked, and hiked, and hiked the Great Wall in a particularly steep section. Thank goodness for all my times up the “M” and Triple Tree Bench trails. We also dined at Ultra Violet in Shanghai, rated one of the top restaurants in the world with seating for 10. What a summer of gatherings and fun! Bozeman is a place where folks know how to cook and love to entertain. Last summer we hosted a glorious outdoor wedding for Sarah Davies and Whitney Tilt at our home and in contrast, this summer seemed far more tame. Nevertheless, we hosted a couple of memorable events and were included in others. One special night was celebrating Whitney and Sarah Tilt’s first anniversary on the deck of their home. The real culmination of the summer was Gallatin Valley Land Trust’s 25th Anniversary Gala. Schlauch Uhlmann Platinum Properties is a major supporter of GVLT because this is an organization with a remarkable Executive Director and staff and a mission that sets the standard for Gallatin Valley’s sense of open space and trails. I admit it…my favorite Summer activity, without a doubt, was the week long trip made by 7 family members along with two dear friends. This has to rate as the centerpiece of How I Spent My Summer Vacation. We packed by horses and mules into the rugged wilderness in Wyoming along the southern edge of Yellowstone Park. A week of campfires with my Dearest as he actively discovered and perfected his alter-ego Cowpoke Charlie, guitar in hand. Fishing on the South Fork of the Shoshone River and witnessing my tall, handsome grandson Thomas hook and land his first trout. Son Lex and I hiked, we played games at our campsite, and we all felt swallowed whole by the vastness of the universe and surrounding nature. Everyone needs time to be unplugged, off the radar, and embraced with family and friends. Here in Bozeman we are fortunate to have access to wilderness a short drive from our homes. My gardens thrived, with tasty vegetables sometimes looking odd, and flowers providing brilliant colors and textures. We enjoyed meals under the stars with friends and family, had our share of house guests, and loved each meal for its immediacy. Life is a bounty. [Slideshow "how-i-spent-my-summer-vacation" not found]I feel that chill of Autumn and know Fall will hold many memories as yet unknown. Life is such a blessing, and each season has its own qualities. That said, I love Summers in Bozeman. Any number of this Summer’s happenings would warrant an entire essay. For now I will just reflect in my mind how lucky I am to call Bozeman home and hope that I have an opportunity to hear how you spent your summer vacation.